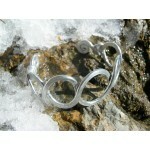 The pound collection There are 23 products. 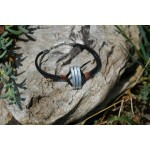 This collection is very alternative, almost tribal, and is made for people willing to wear really unique pieces that are not shiny. 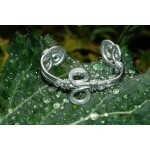 A very original pound bracelet, in a snake shape, with a small spirale in both extremities, which I will make you customized. 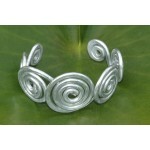 An original, hand-made and customized bracelet, made of pound aluminium wire and açaï Peruvian seed. 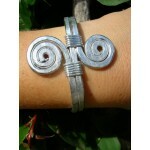 An original pound bracelet, which curves remind the ADN ones. 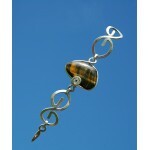 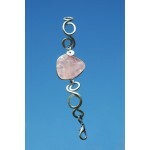 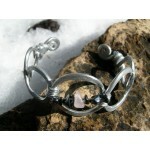 Give me your size and choose your favorite natural stone and I will be able to make this bracelet customized for you. 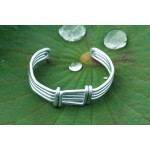 An original pound bracelet, which curves remind the ADN ones. 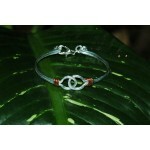 Give me your size and I will make this bracelet customized for you. 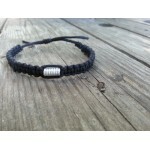 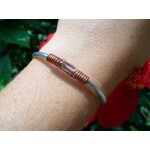 This bracelet is very thin and simple and would be suitable for men or women. 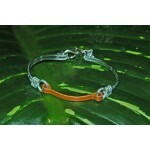 It is made of aluminum and copper wireand I will make it customized for you. 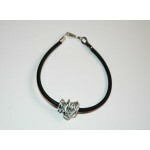 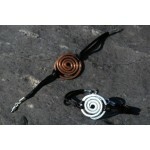 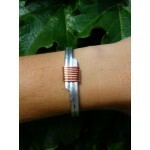 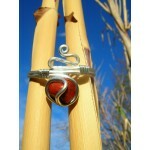 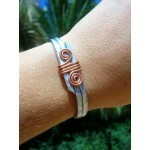 An unisex pound aluminum bracelet, which spirales designs are made of copper wire. 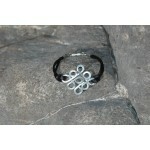 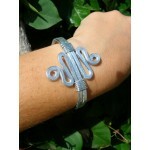 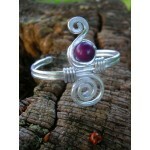 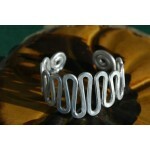 This pound bracelet is made of aluminum wire and is characterized by curves design. 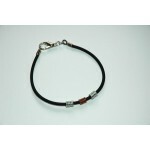 A simple design, with a touch of copper, for this nice and hand-made bracelet : suitable for men o women.